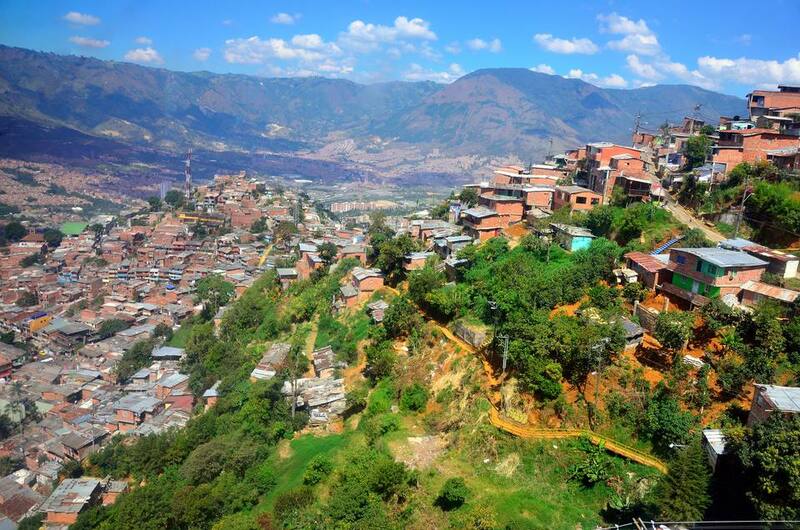 You've likely heard Colombia is dangerous and that travel to Colombia is deadly. In our opinion, it's not; it's very safe. The days when crime and craziness ruled Colombia are over, and cocaine is no longer a chief export -- try flowers, fashion, and coffee instead. And try Colombia -- travel to Colombia is safe. Naturally, as with travel anywhere, you should check US government travel warnings, and you should read recent articles from travelers to decide whether any country is safe enough for you to visit. Colombia is hard at work showing the world what a safe and easy, passionate, and pretty paradise it is -- believe the ads, amigos. You'll likely be perfectly safe strolling Bogota's streets after dark, merrily shopping for Colombia's luscious leather and getting-famous fashions, or sipping fabulous fresh fruit drinks in Medellin curbside late night. However, narco-terrorists, guerillas, and paramilitary forces can be encountered in remote areas, especially the southern and western rainforest jungles. The cities, though, seem as safe as any other world city. Colombia's got a long history of overcoming difficulty from within and without. After surviving pirates on its Caribbean coast for centuries, Colombians spent many years ousting Spaniard conquerors in the early 1800's, even enduring Inquisition-as-retribution on their own soil in Cartagena (where the Palace of the Inquisition is now a must-see Cartagena museum). Insurrection and rebellion from left-wing insurgents and right-wing paramilitaries tore the country apart beginning in 1948 and birthed the Revolutionary Armed Forces of Colombia (FARC), a guerrilla group which still terrorizes parts of Colombia today (but which travelers are very unlikely to encounter). And in the late '80's, Pablo Escobar turned Colombia into the planet's largest cocaine manufacturer and exporter, and all the chaos and crime that such a distinction held ensued. Colombia is overcoming, once again. And today, Colombia is a treasure. The cities have superbly sophisticated sides, the police are protectors rather than criminal cohorts, the army is engaged in peacekeeping and the continued destruction of what's left of the cocaine trade, and many parts of the jungles have become meccas for trekking instead of hideouts for kidnapping bands. Go see for yourself.